It is time to short this dead stock again. Enjoy the smooth ride down! 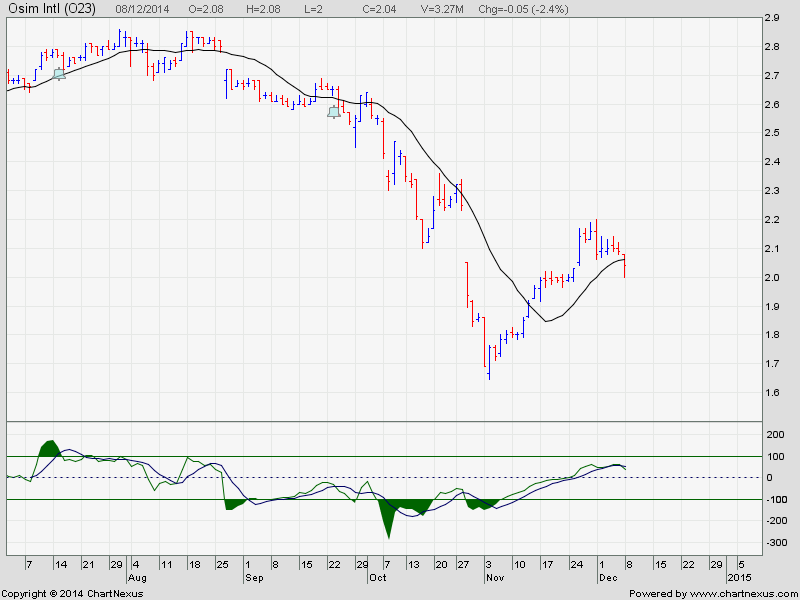 I first made a short call on Osim on 11/8/14 at $2.69 and mentioned that this stock may have reached its peak. 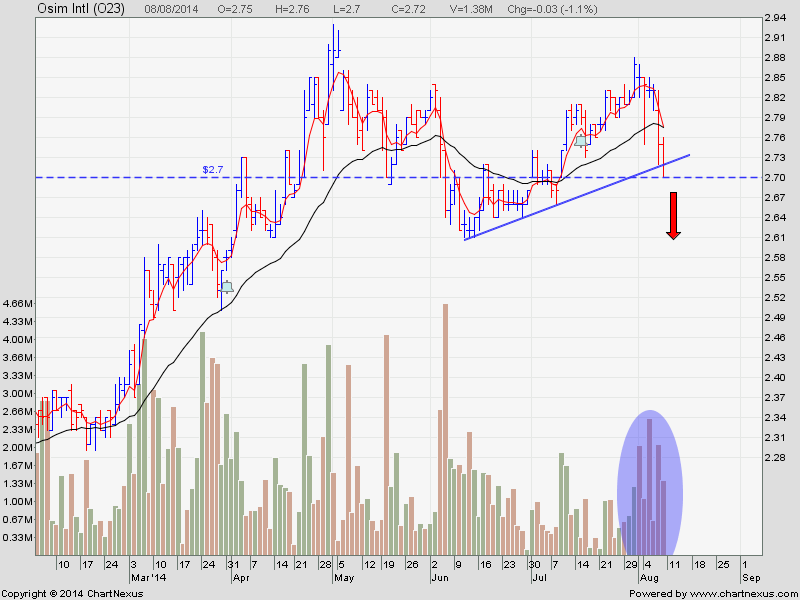 Since then, it had experienced a steep fall to $1.645 reached on 4/11/14. See here. Today, there is an entry signal to short it again. Dont waste it ! 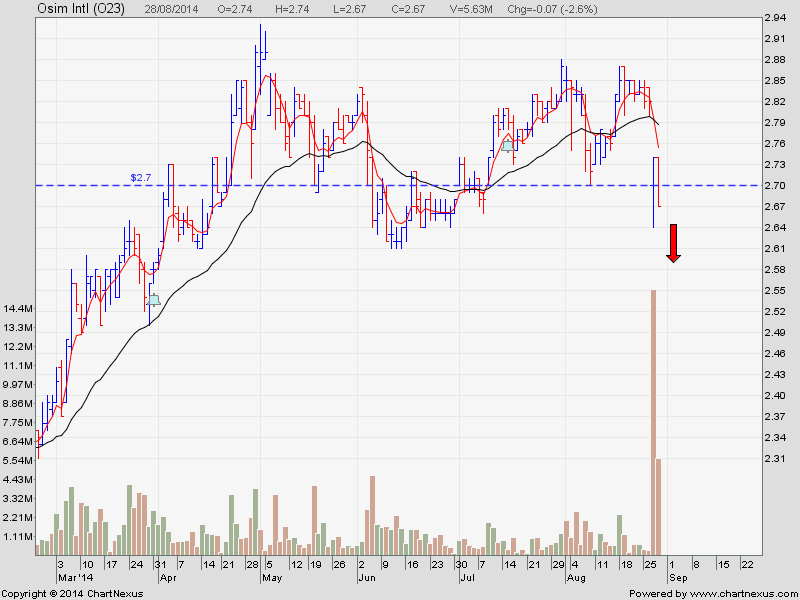 Currently Osim is experiencing a big sell down again. Ride the selling wave down. I also posted on 11/8/14 that this stock’s price may have reached its peak. Indeed the price has peaked as there is a BIG gap down 2 days ago. 1) This current market pull back will be a short and brief one. The global market is very strong now. So, just wait patiently for a few days and the money making opportunity will resume again. Our job is to see our money grow, not to slog for money. 1) STI is currently supported at 3277. If this critical support is broken, it will go down to 3187. 2)Take note of GMG. It may broke the support and go down. 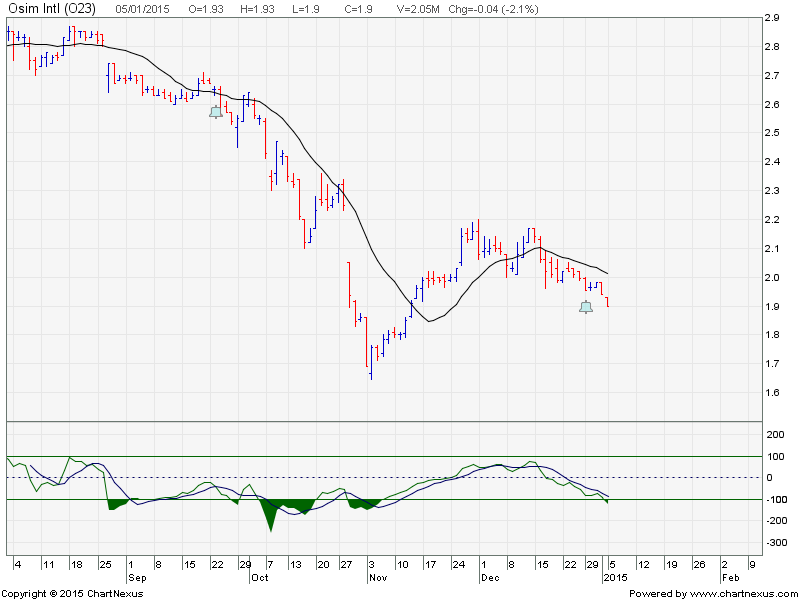 3) Ezion may resume its huge selling again if the support at $2.06 is broken.